Some speech disorders in school-aged children originate as normal behavior. 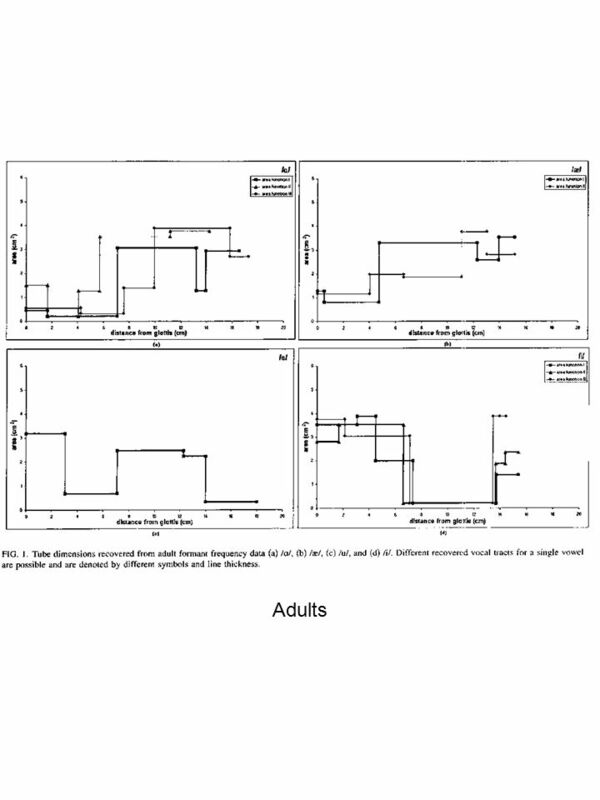 3 ABSTRACT Some articulation/phonological disorders in young school-aged children, such as the /w/ substitution for /r/, appear as normal behavior in children learning how to speak. In fact this so-called phonemic substitution actually maintains a subphonemic distinction, even at 18 to 36 months of age (McGowan, Nittrouer, and Manning, 2004). 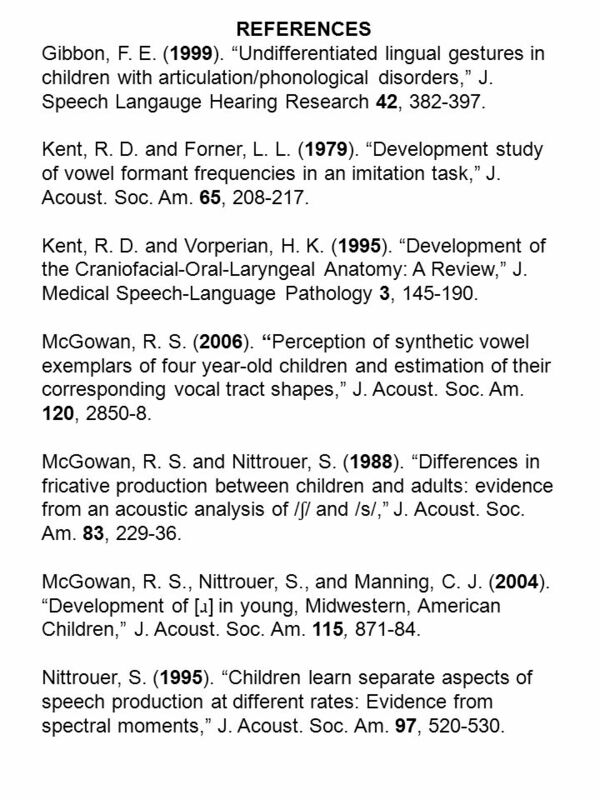 Often in collaboration with Susan Nittrouer, we have examined other English speech sounds that are not produced as scaled versions of adult sounds, including sibilant fricatives (McGowan and Nittrouer, 1988; Nittrouer, 1995) and vowels (McGowan, 2006). 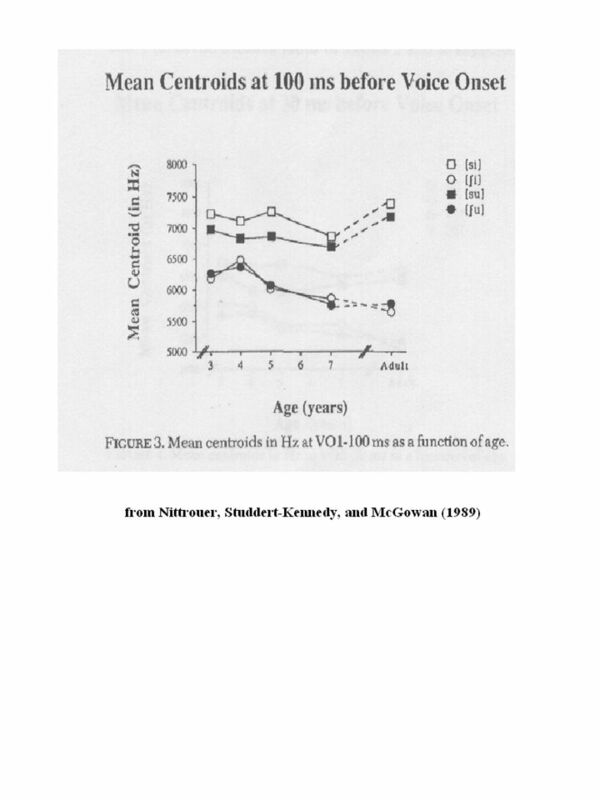 We also have observed that the alveolar-velar stop confusion occurs in the very earliest ages of 12 and 18 months, again, with accompanying subphonemic distinctions. 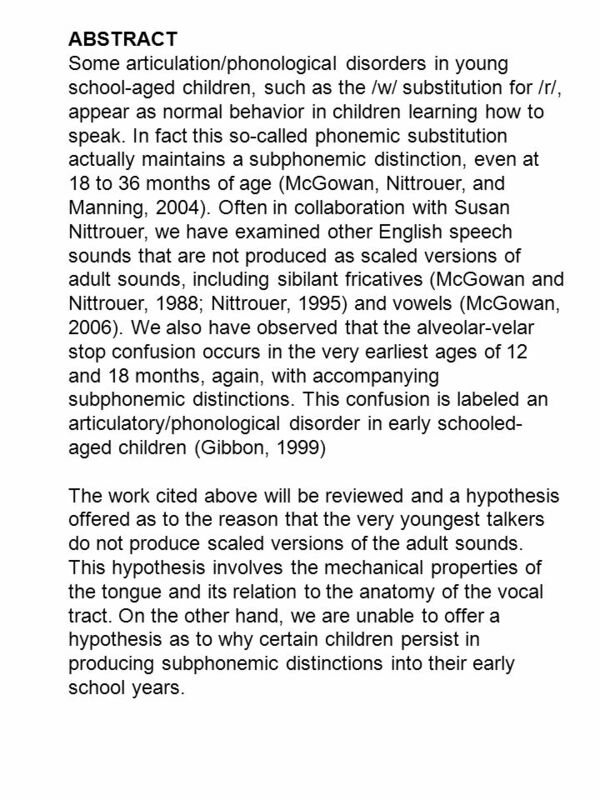 This confusion is labeled an articulatory/phonological disorder in early schooled- aged children (Gibbon, 1999) The work cited above will be reviewed and a hypothesis offered as to the reason that the very youngest talkers do not produce scaled versions of the adult sounds. This hypothesis involves the mechanical properties of the tongue and its relation to the anatomy of the vocal tract. On the other hand, we are unable to offer a hypothesis as to why certain children persist in producing subphonemic distinctions into their early school years. 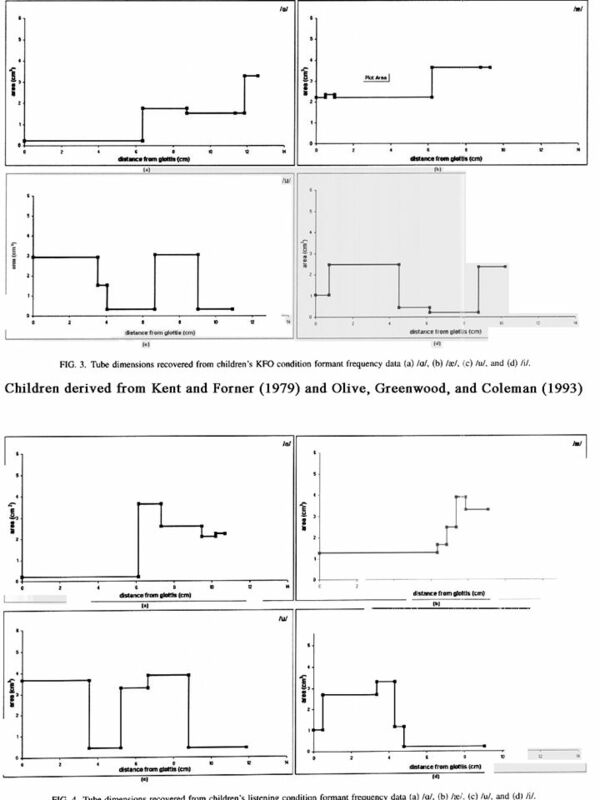 4 INTRODUCTION 1.Four particular examples where children’s behavior is not scaled adult behavior (Much of the work done in collaboration with Susan Nittrouer). A. The /s/-/ ʃ / distinction. 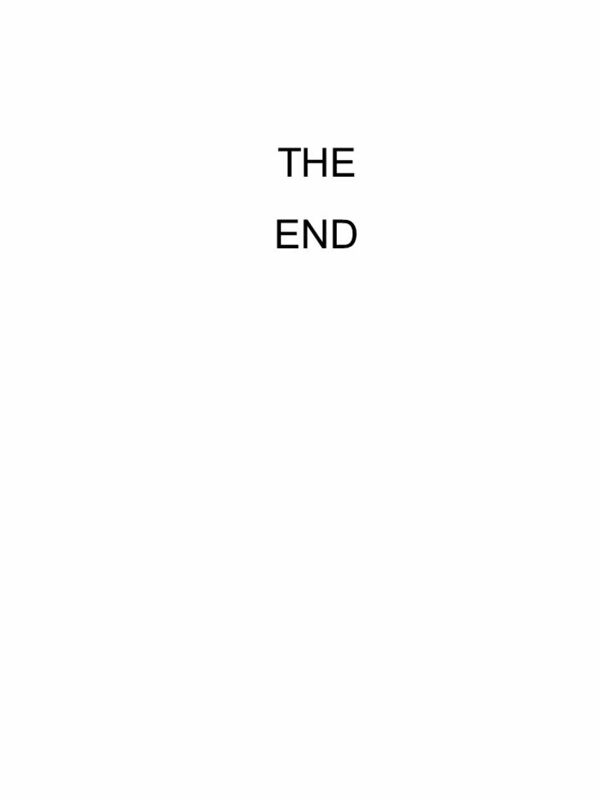 B. English [ ɹ ] production and the /r/-/w/ distinction. C. Vowel production. D. Velar and alveolar stop consonants /g/, /k/, /d/, and /t/, and velar-alveolar place distinctions. 2. 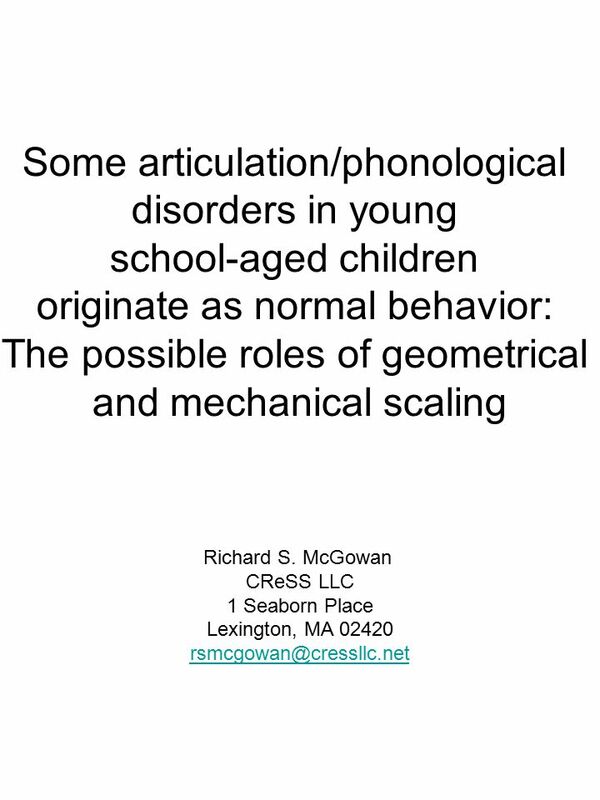 A proposed scenario for the development of some articulation/phonological disorders in young school-aged children. 5 3. 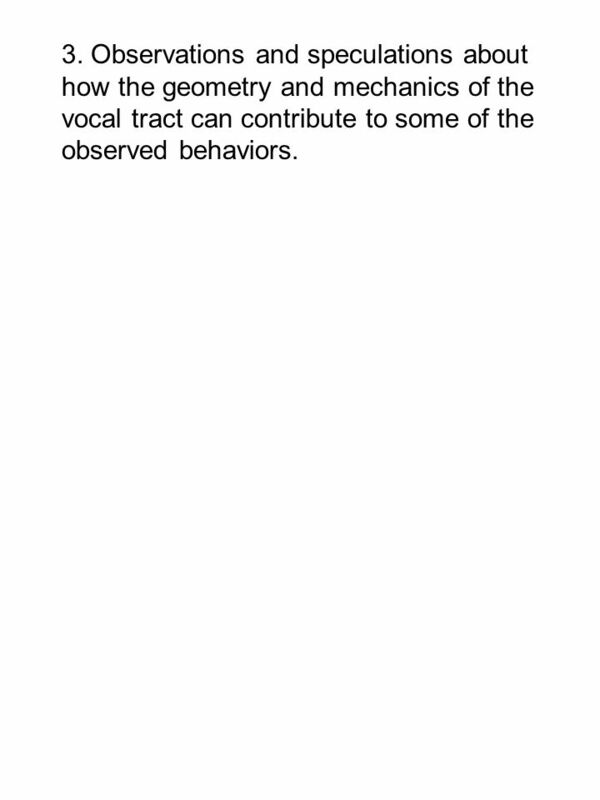 Observations and speculations about how the geometry and mechanics of the vocal tract can contribute to some of the observed behaviors. 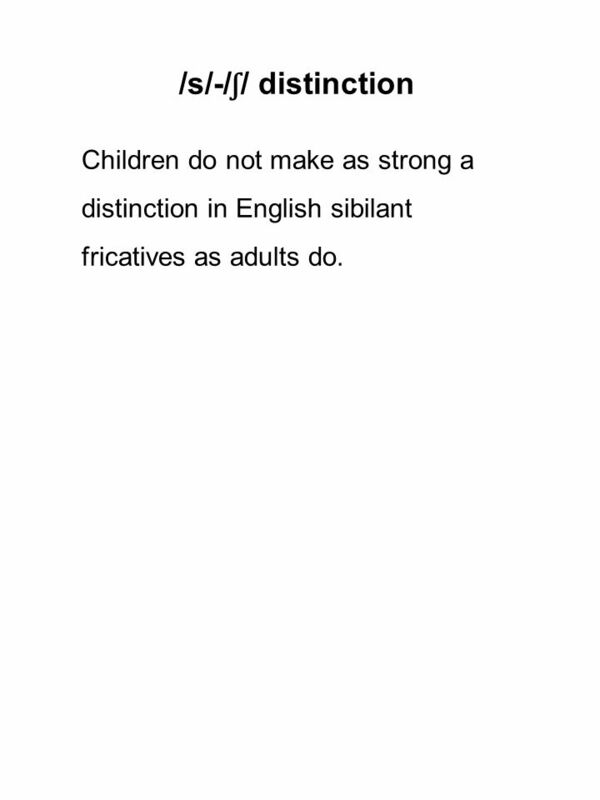 6 /s/-/ ʃ / distinction Children do not make as strong a distinction in English sibilant fricatives as adults do. 7 Centroid of the spectrum: The following shows the centroids for /si/, / ʃ i/, /su/, and / ʃ u/ as functions of age (Nittrouer, Studdert-Kennedy, and McGowan, 1989, Nittrouer, 1995). 9 F2 and maximum amplitude difference. 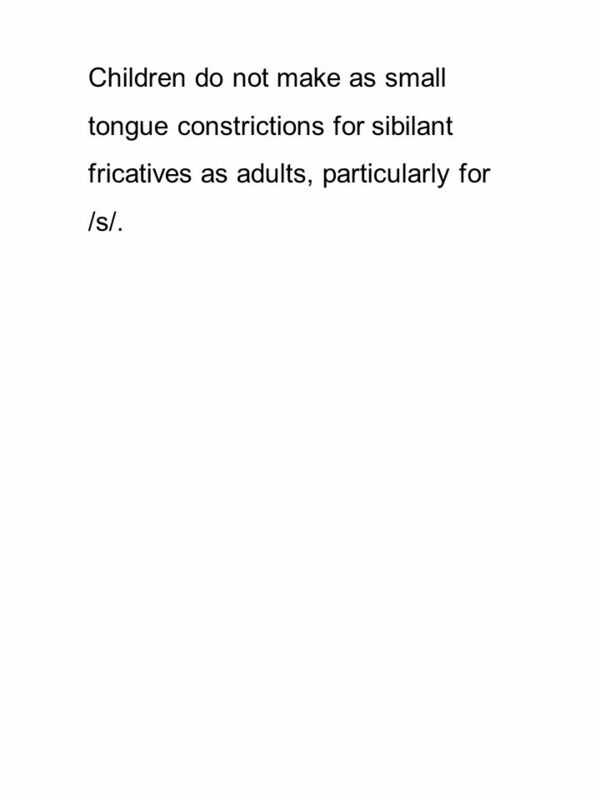 11 Children do not make as small tongue constrictions for sibilant fricatives as adults, particularly for /s/. 12 2) [ ɹ ] production and the /r/-/w/ distinction [ ɹ ] is a notoriously difficult sound for young speakers of American English to produce, particularly in pre-vocalic position. Adult prevocalic [ ɹ ] is produced with low F1, F2, F3, and small F3 – F2. Young children often attempt to produce this phone with a low F2, but without substantially lowering F3, thus leaving F3 – F2 relatively large. 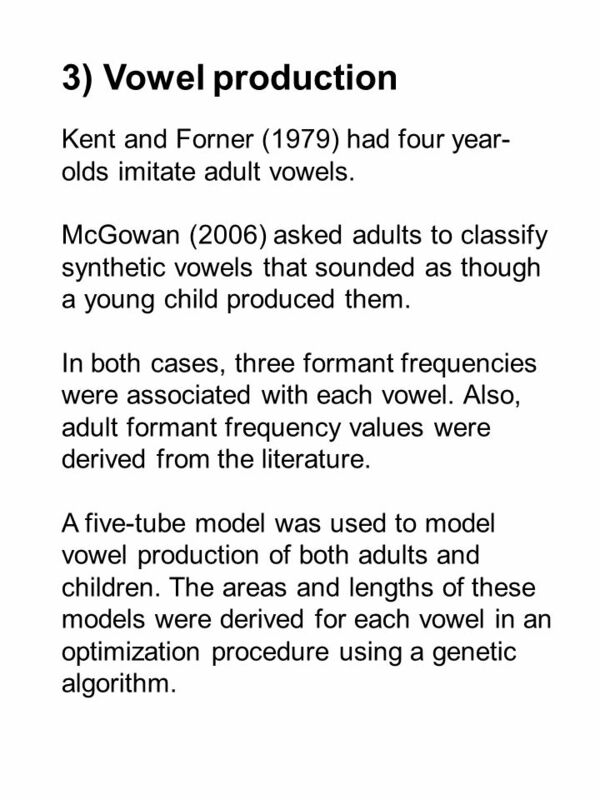 15 3) Vowel production Kent and Forner (1979) had four year- olds imitate adult vowels. 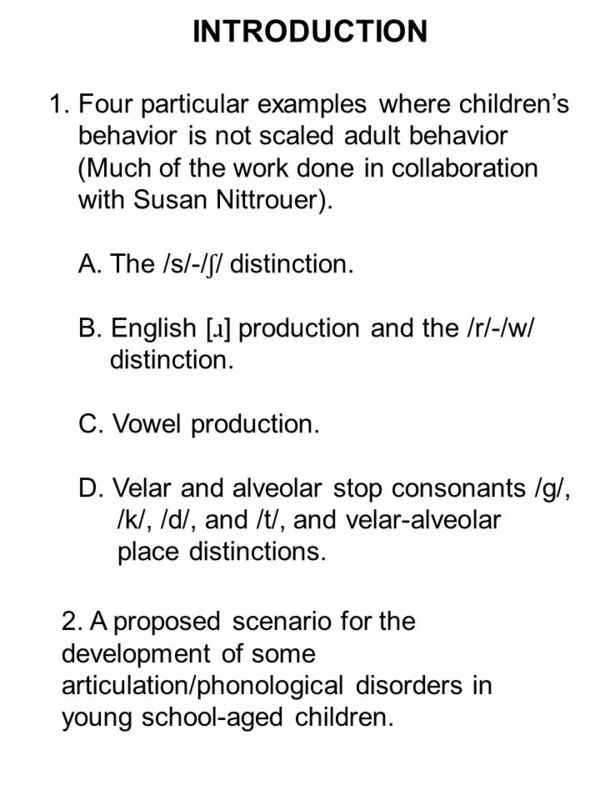 McGowan (2006) asked adults to classify synthetic vowels that sounded as though a young child produced them. 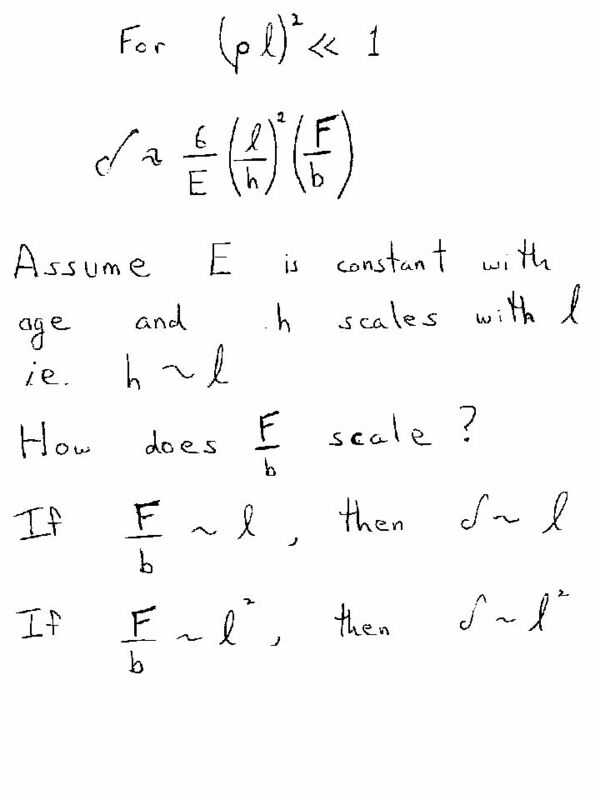 In both cases, three formant frequencies were associated with each vowel. 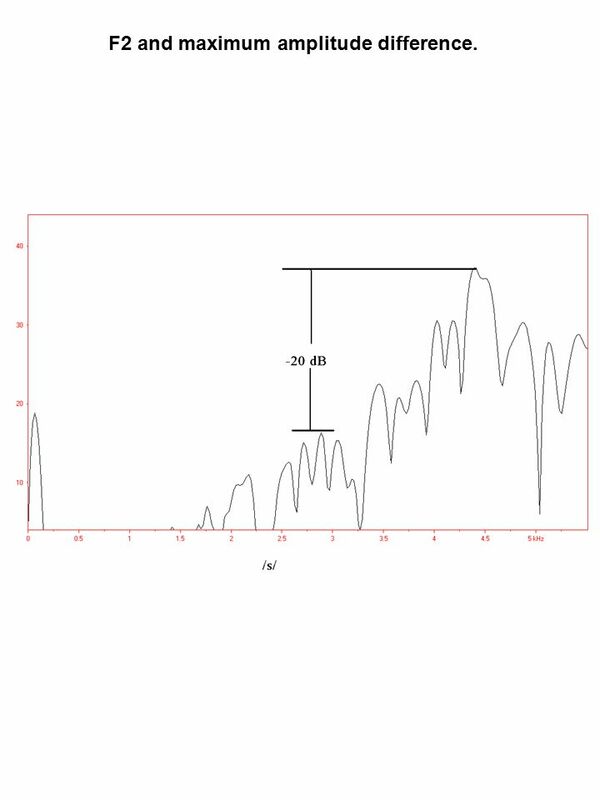 Also, adult formant frequency values were derived from the literature. A five-tube model was used to model vowel production of both adults and children. The areas and lengths of these models were derived for each vowel in an optimization procedure using a genetic algorithm. 18 Except for /i/, the ratio of the rear tube length to total length is always greater for the two children’s conditions than for the adults. The opposite of what one would expect if tube lengths scaled according to fixed structure lengths, such as the pharynx and mouth lengths, e.g. Nördstrom (1979). 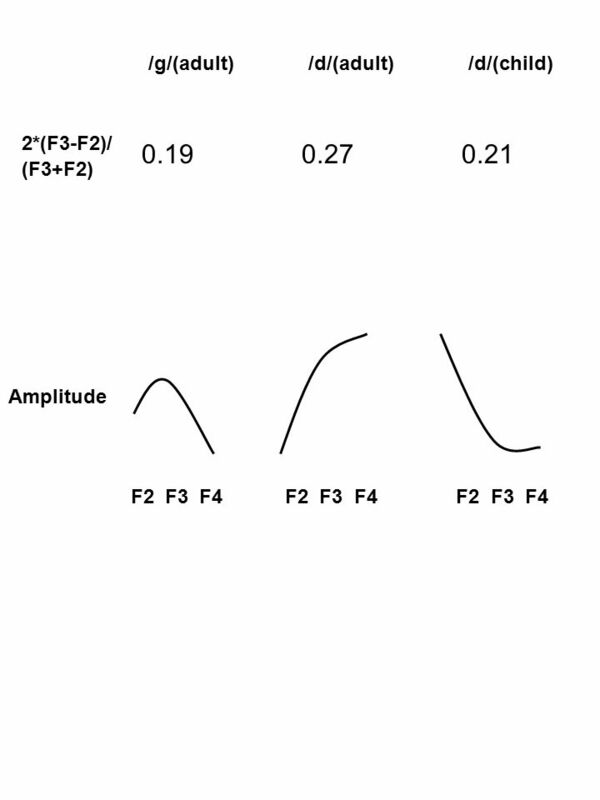 21 The /d/ release of the child is more /g/- like in two related ways: 1) the difference between F3 and F2 (normalized) is less for the child than for the adult, and 2) the burst spectrum peaks at A3 for the child and at A4 for the adult. 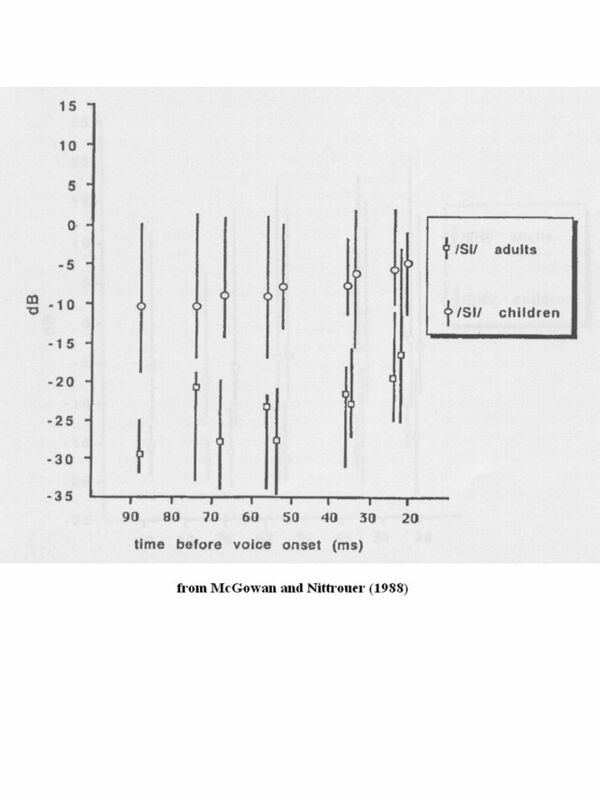 Both child and adult have intense burst in relation to the sound level of the vowel. 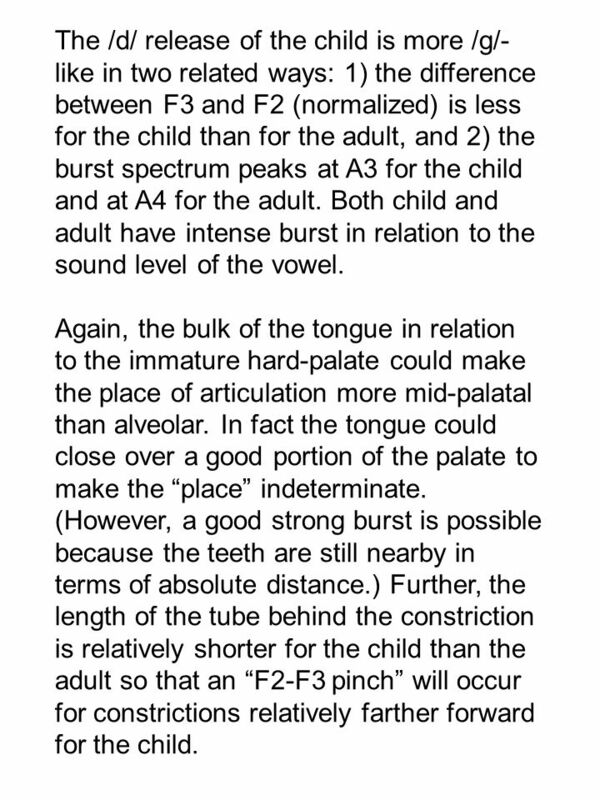 Again, the bulk of the tongue in relation to the immature hard-palate could make the place of articulation more mid-palatal than alveolar. In fact the tongue could close over a good portion of the palate to make the “place” indeterminate. (However, a good strong burst is possible because the teeth are still nearby in terms of absolute distance.) 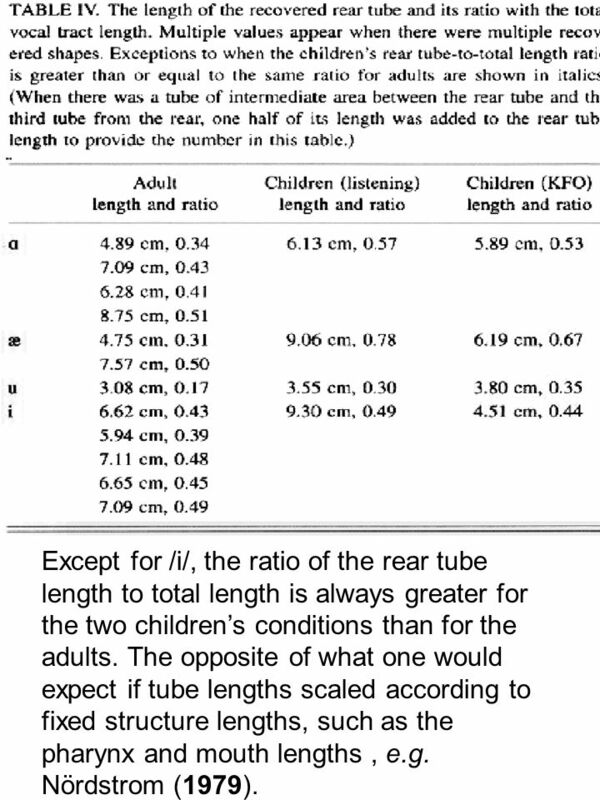 Further, the length of the tube behind the constriction is relatively shorter for the child than the adult so that an “F2-F3 pinch” will occur for constrictions relatively farther forward for the child. 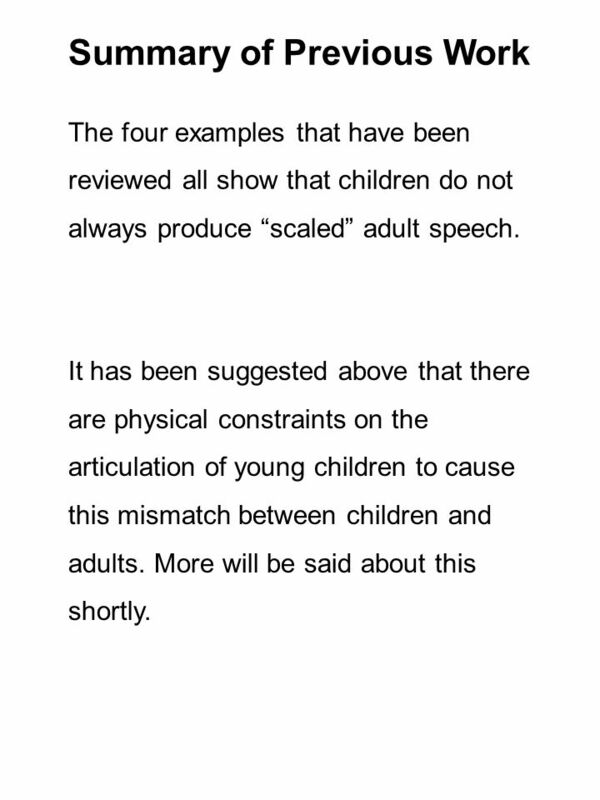 22 Summary of Previous Work The four examples that have been reviewed all show that children do not always produce “scaled” adult speech. It has been suggested above that there are physical constraints on the articulation of young children to cause this mismatch between children and adults. More will be said about this shortly. 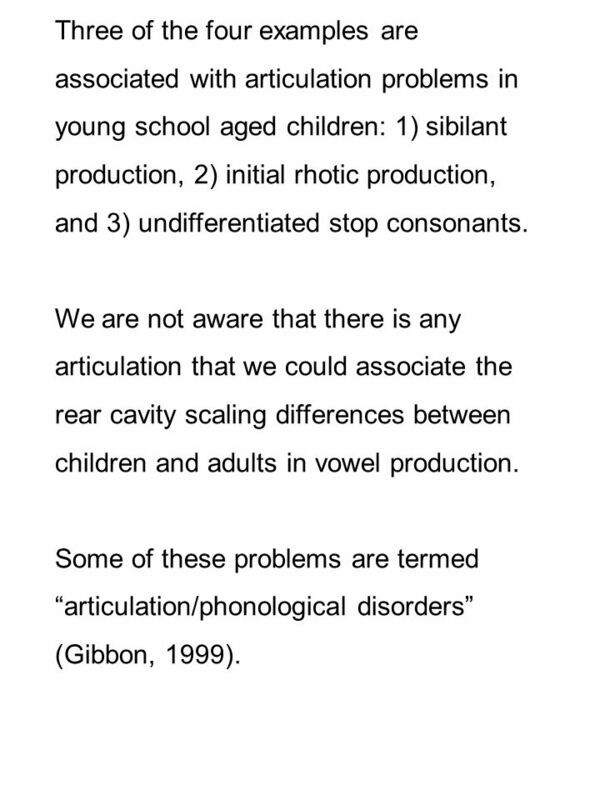 23 Three of the four examples are associated with articulation problems in young school aged children: 1) sibilant production, 2) initial rhotic production, and 3) undifferentiated stop consonants. We are not aware that there is any articulation that we could associate the rear cavity scaling differences between children and adults in vowel production. Some of these problems are termed “articulation/phonological disorders” (Gibbon, 1999). 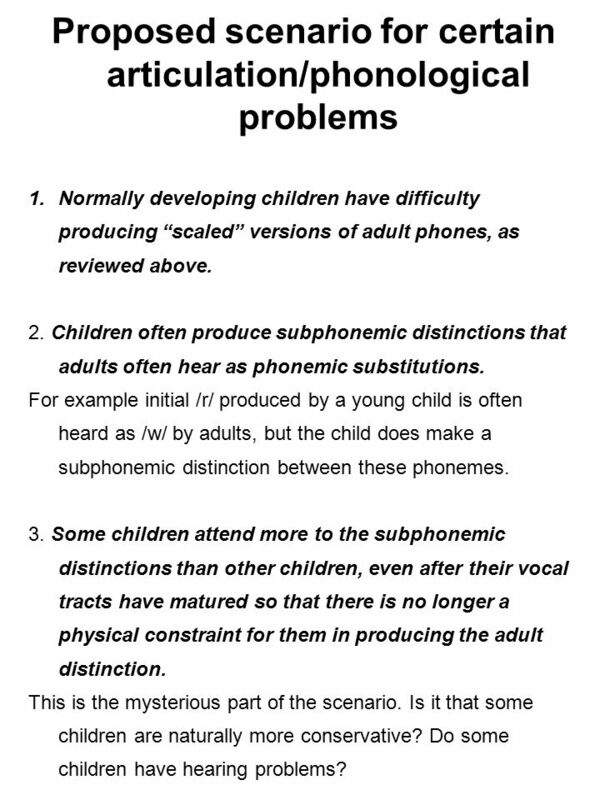 24 Proposed scenario for certain articulation/phonological problems 1.Normally developing children have difficulty producing “scaled” versions of adult phones, as reviewed above. 2. Children often produce subphonemic distinctions that adults often hear as phonemic substitutions. For example initial /r/ produced by a young child is often heard as /w/ by adults, but the child does make a subphonemic distinction between these phonemes. 3. Some children attend more to the subphonemic distinctions than other children, even after their vocal tracts have matured so that there is no longer a physical constraint for them in producing the adult distinction. This is the mysterious part of the scenario. Is it that some children are naturally more conservative? Do some children have hearing problems? 29 Other relevant factors affecting children’s articulation 1. Mylenation is a part of development and reaction times will decrease (Reiner Wilhelms-Tricarico). 2. 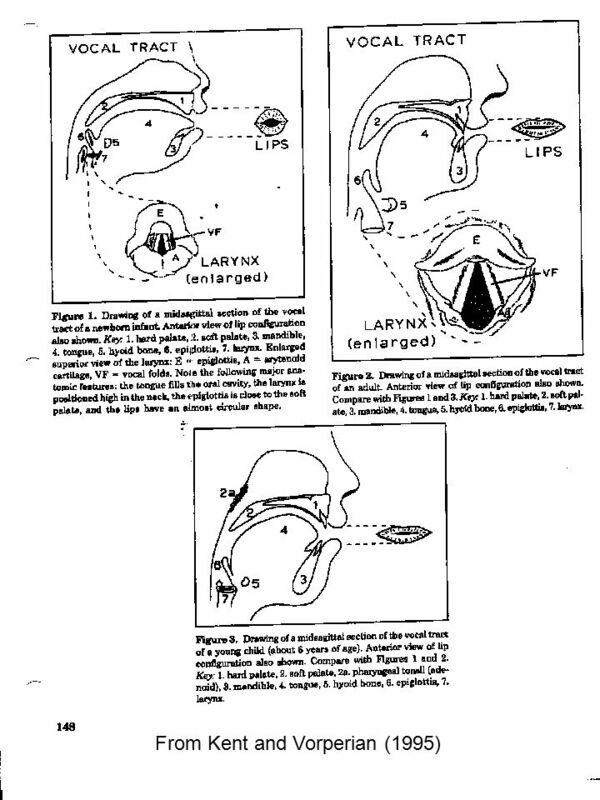 Relative size of the supralaryngeal vocal tract and the tongue (Houri Vorperian is moving toward quantifying this). 4. 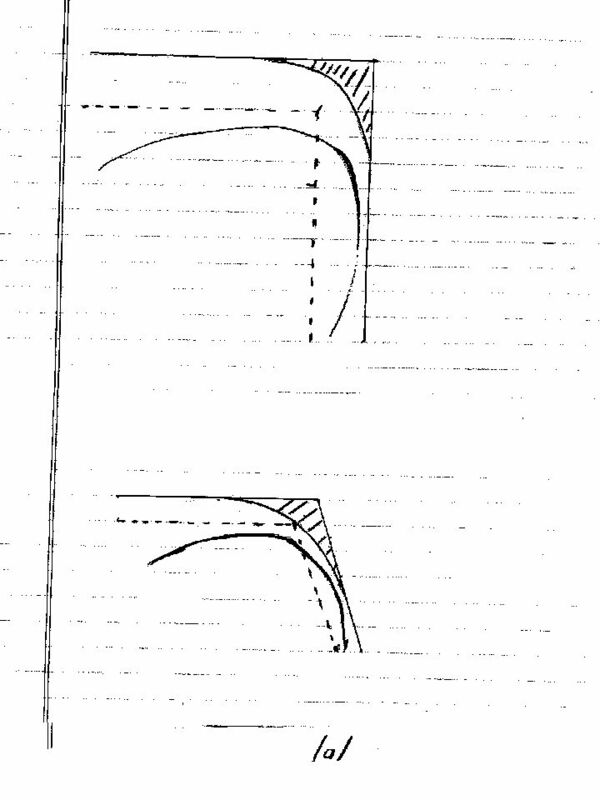 Geometric factors such as the relative sizes of the pharynx and mouth, the angle between the pharynx and the mouth, and the early hypertrophy of the soft tissue of the nasopharynx (Kent and Vorperian, 1995). 3. 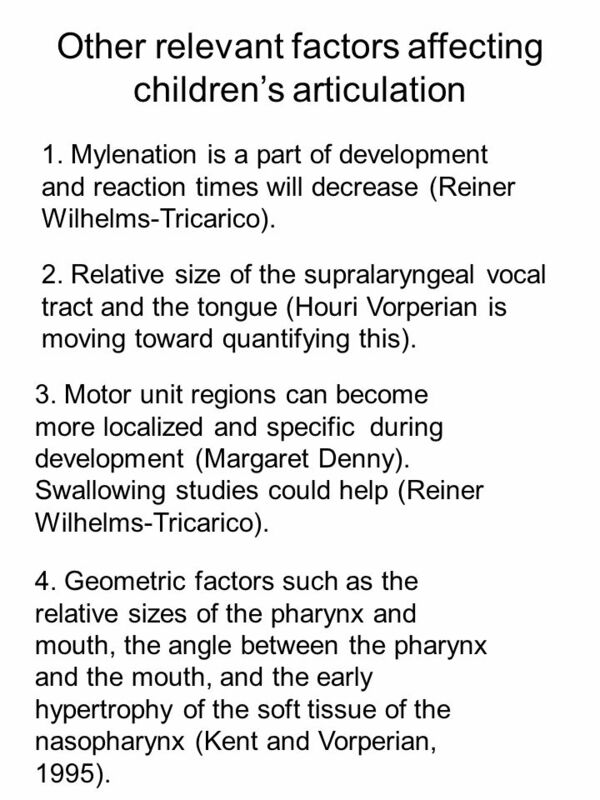 Motor unit regions can become more localized and specific during development (Margaret Denny). 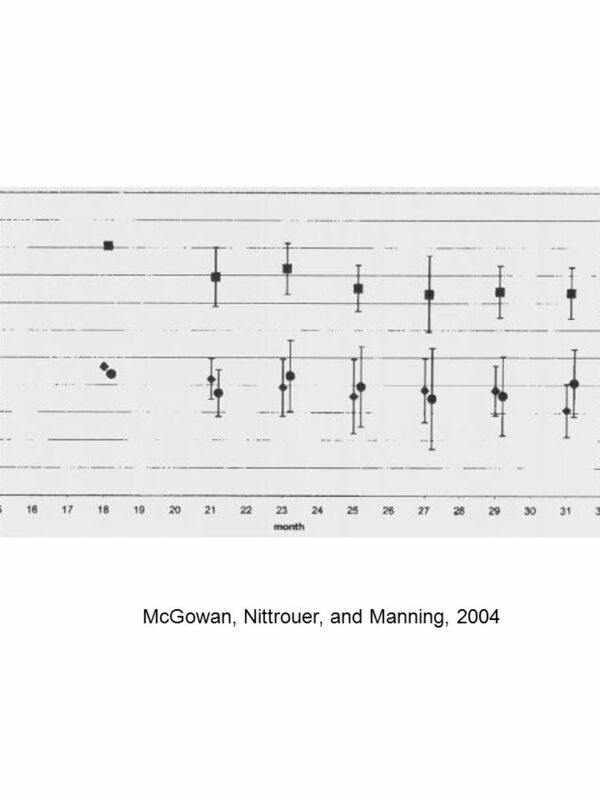 Swallowing studies could help (Reiner Wilhelms-Tricarico). 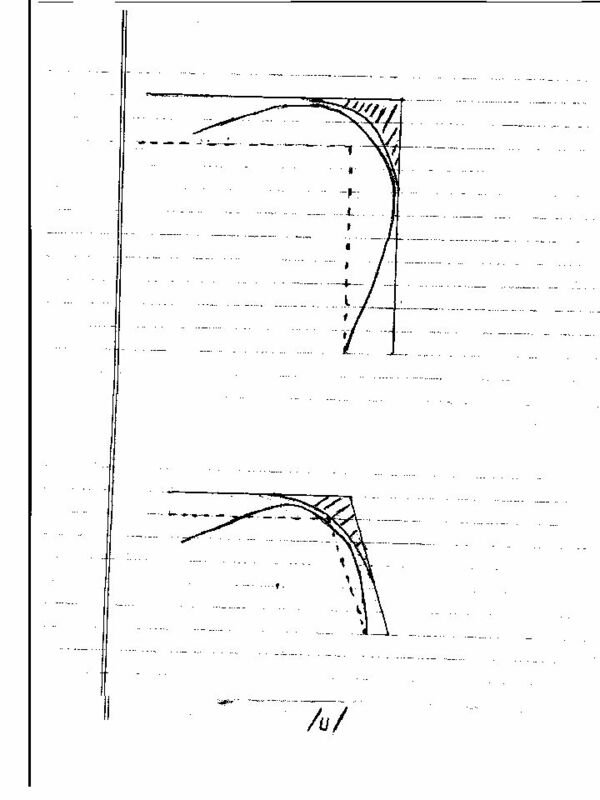 35 REFERENCES Gibbon, F. E. (1999). “Undifferentiated lingual gestures in children with articulation/phonological disorders,” J. Speech Langauge Hearing Research 42, 382-397. Kent, R. D. and Forner, L. L. (1979). “Development study of vowel formant frequencies in an imitation task,” J. Acoust. Soc. Am. 65, 208-217. Kent, R. D. and Vorperian, H. K. (1995). 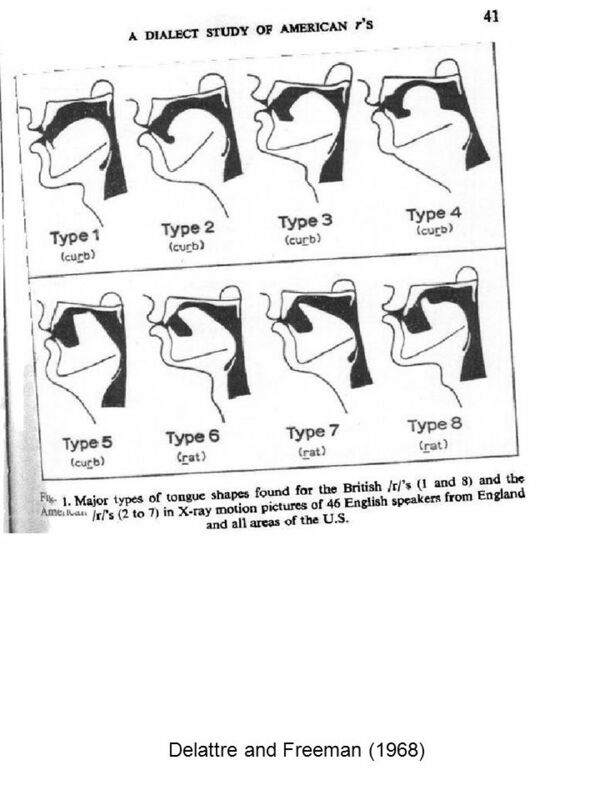 “Development of the Craniofacial-Oral-Laryngeal Anatomy: A Review,” J. Medical Speech-Language Pathology 3, 145-190. McGowan, R. S. (2006). “Perception of synthetic vowel exemplars of four year-old children and estimation of their corresponding vocal tract shapes,” J. Acoust. Soc. Am. 120, 2850-8. 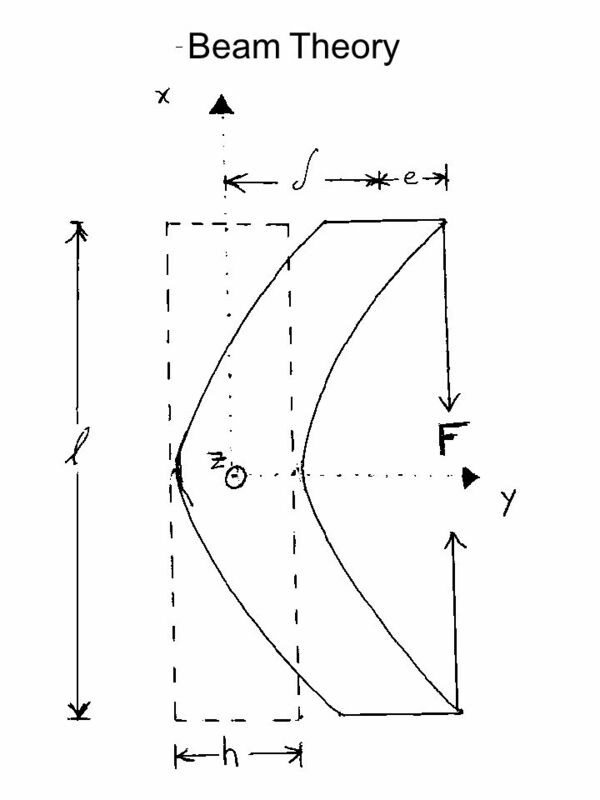 McGowan, R. S. and Nittrouer, S. (1988). “Differences in fricative production between children and adults: evidence from an acoustic analysis of / ʃ / and /s/,” J. Acoust. Soc. Am. 83, 229-36. McGowan, R. S., Nittrouer, S., and Manning, C. J. (2004). “Development of [ ɹ ] in young, Midwestern, American Children,” J. Acoust. Soc. Am. 115, 871-84. 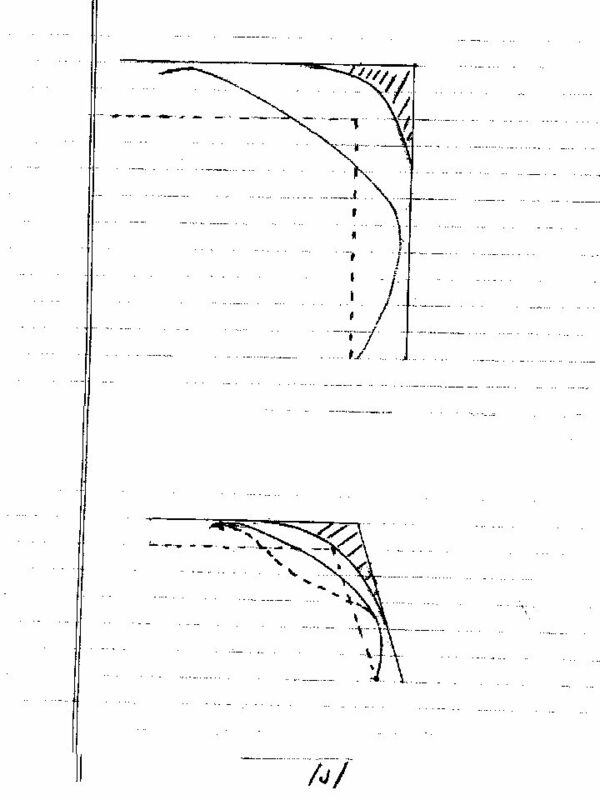 Nittrouer, S. (1995). “Children learn separate aspects of speech production at different rates: Evidence from spectral moments,” J. Acoust. Soc. Am. 97, 520-530. 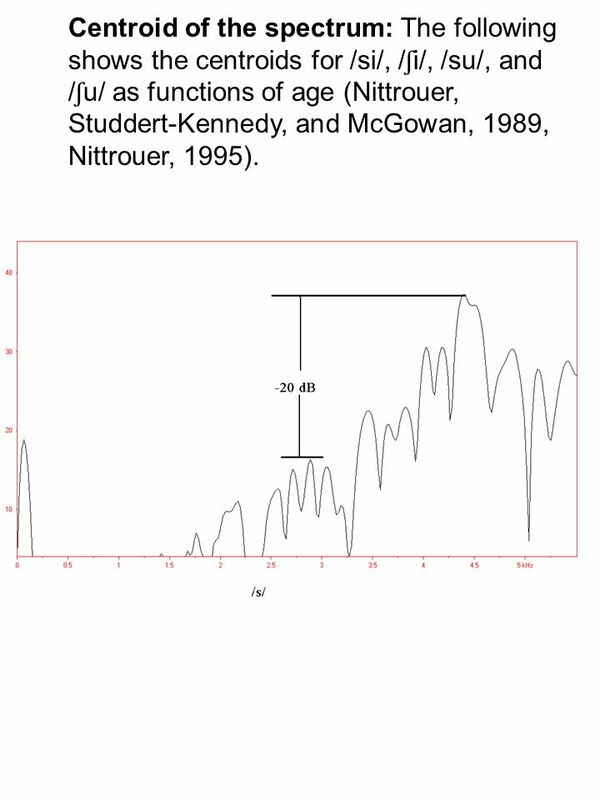 36 Nittrouer, S., Studdert-Kennedy, M., and McGowan, R. S. (1989). “The emergence of phonetic segments: Evidence from the spectral structure of fricative-vowel syllables spoken by children and adults,” J. Speech Hearing Research 32, 120-132. Nördstrom, P.-E. (1979). 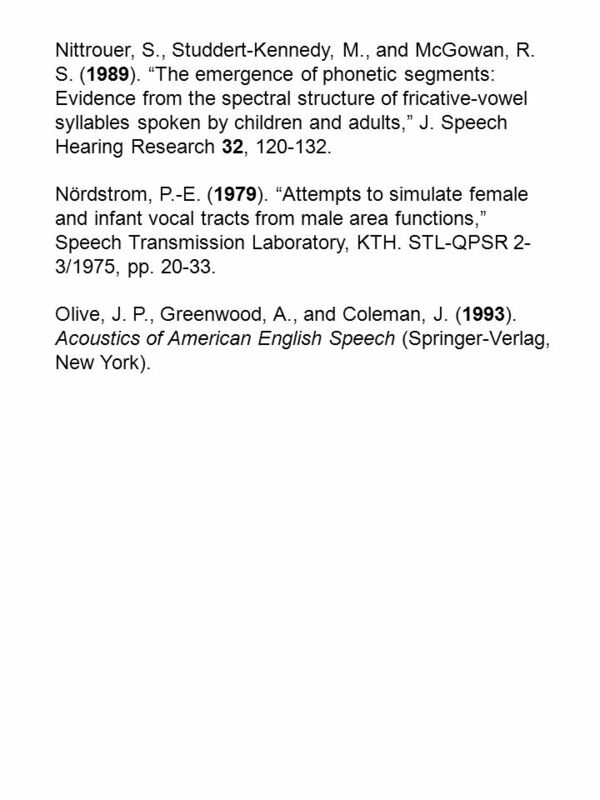 “Attempts to simulate female and infant vocal tracts from male area functions,” Speech Transmission Laboratory, KTH. STL-QPSR 2- 3/1975, pp. 20-33. Olive, J. P., Greenwood, A., and Coleman, J. (1993). Acoustics of American English Speech (Springer-Verlag, New York). Download ppt "Some speech disorders in school-aged children originate as normal behavior." A. Hatzis, P.D. Green, S. Howard (1) Optical Logo-Therapy (OLT) : Visual displays in practical auditory phonetics teaching. Introduction What. 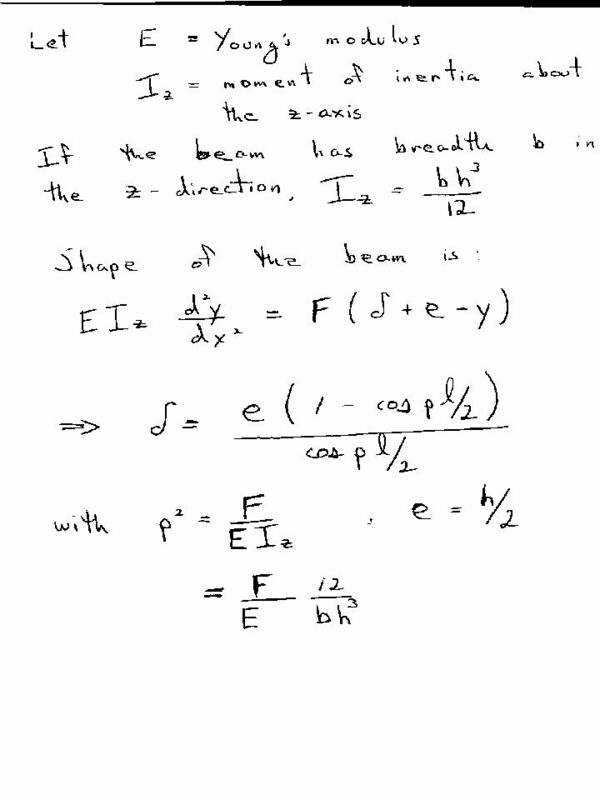 Perturbation Theory, part 2 November 4, 2014 Before I forget Course project report #3 is due! I have course project report #4 guidelines to hand out. Vowel Formants in a Spectogram Nural Akbayir, Kim Brodziak, Sabuha Erdogan. Glides (/w/, /j/) & Liquids (/l/, /r/) Degree of Constriction Greater than vowels – P oral slightly greater than P atmos Less than fricatives – P oral. Basic Spectrogram & Clinical Application Lab 9. Spectrographic Features of Vowels n 1st formant carries much information about manner of articulation. 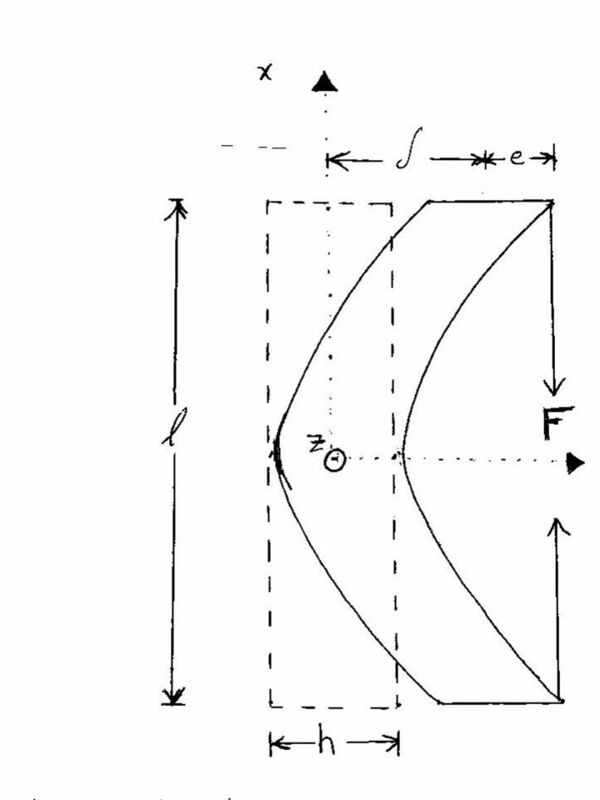 ACOUSTICS OF SPEECH AND SINGING MUSICAL ACOUSTICS Science of Sound, Chapters 15, 17 P. Denes & E. Pinson, The Speech Chain (1963, 1993) J. Sundberg, The. Development of Speech Perception. Issues in the development of speech perception Are the mechanisms peculiar to speech perception evident in young infants?